perfect for so many events, we have eight lovely projects that you can try, right now if you want to. 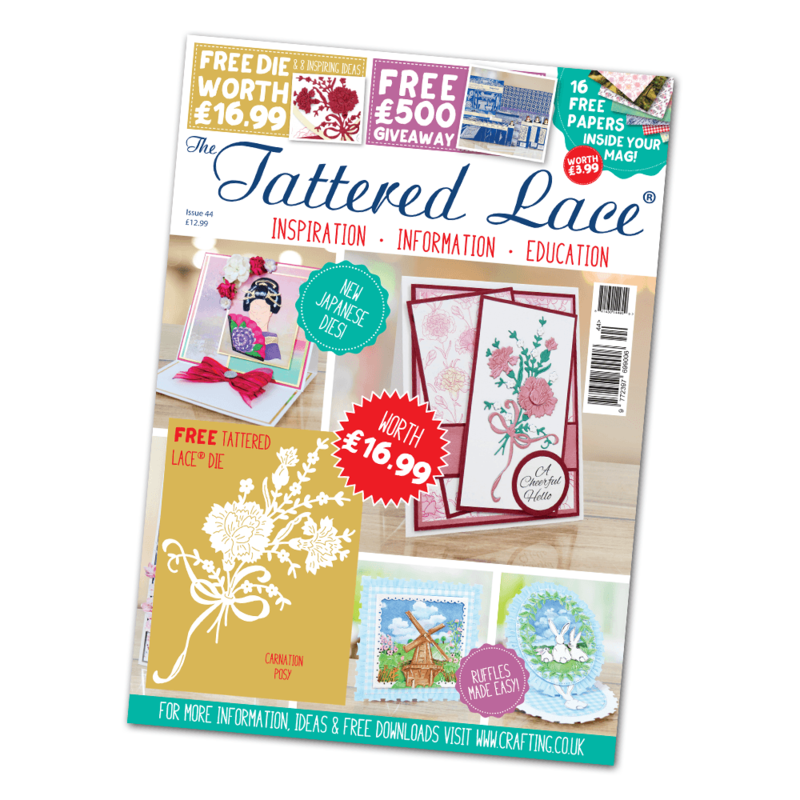 We’re also thrilled to tell you that there is a FREE download available on the Tattered Lace website – www.tatteredlace.co.uk/downloads – 6 perfect Charisma images of the Carnation Posy, together with 36 gorgeous papers. You will be able to make so many different projects – fabulous! die, a magnificent rose arrangement. You may have noticed that there is a Charisma image included in the papers this time. 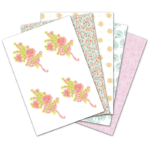 Perfect to just cut into with the die and get quick and very professional results. If you do not have the die, then just cut it out. All you have to do is cut inside the bleed.